Melwa Group, a diversified business corporate in steel related industry is investing US$ 150 million up to 2025 to build 6 hotels and resorts for Hilton chain. Hilton (NYSE: HLT) signed six management agreements last year with Melwa Hotels and Resorts Private Limited to manage three Hilton Hotels and Resorts and three ‘Double Tree by Hilton’ properties in Sri Lanka. The six hotels and resorts are Hilton Yala Resort and Spa, Hilton Kosgoda Resort, Hilton Kandy Resort, DoubleTree by Hilton Negombo, DoubleTree by Hilton Nuwara-Eliya and DoubleTree by Hilton near Colombo International Airport. Director Melwa, Muruganathan Pillai said that Wild Beach Resorts (Private Ltd) project is to set up, construct and operate a 42 roomed hotel that will be located at the Yala Wildlife Tourism Zone at Palatupana, Yala. The value of this investment is US$ 16 million. “Both the Negombo and Yala hotels will be opened in 2021 and they would be operated by the Hilton Chain”, Pillai said. “We are pleased to be working with a partner of the experience and standing of Melwa Hotels and Resorts to advance our footprint within this dynamic country,” Guy Phillips, senior vice president, Development – Asia and Australasia, Hilton said after signing the agreements. “These hotels are strategically located in the heart of key tourist destinations allowing them to reap the full benefits of the burgeoning growth in tourism in Sri Lanka,” he said. IFC, a member of the World Bank Group, also invested US$ 27 million with Melwa Hotels and Resorts Ltd. for the development of three Hilton hotels across Sri Lanka. The investment will help Melwa Hotels develop three new hotels outside of Colombo, in Yala, Kosgoda and Negombo. In addition to the funding, Melwa will also benefit from IFC’s expertise and advice. 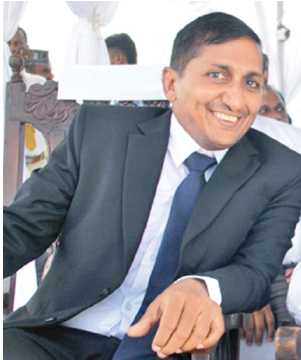 Meanwhile Chief Operating Office, COO, Melwa Hotels and Resorts Private Limited, Mahinda Pinapola said that since these project will employ over 1,500 they hoped to open their own hotel school by next year in association with Hilton Hospitality Training institute in Katunayake. He said the Yala property designed by Soda Thaild has already won an international design award and its facilities are of very high quality. This property may be the only hotel that offers a separate swimming pool and guest meals for the staff. He said the Melwa Group further wants to invest and is looking for properties in Pasikudah. In addition to the leisure sector investments Melwa group will further invest Rs. 1.4 billion to set up a pharmaceutical manufacturing facility in Ja Ela. In addition a further Rs. 900 million would be invested by the company to manufacture IV fluids in Kandy.